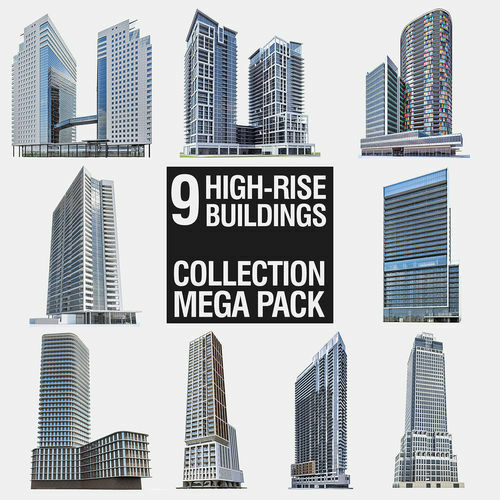 This is a real-world-size Collection of 9 High-rise Buildings made by the professional architect. The model's mesh is high quality, with clean edge flow. The mesh is low-poly, allows you to easily build up the additional details, edit geometry. Wire images were done with VrayLightMtl + VrayDirt for the geometry test. VRayHDRI with map and VRayCamera are included - the product is ready to render out-of-the-box. JPG and PNG textures come in the separate archive.